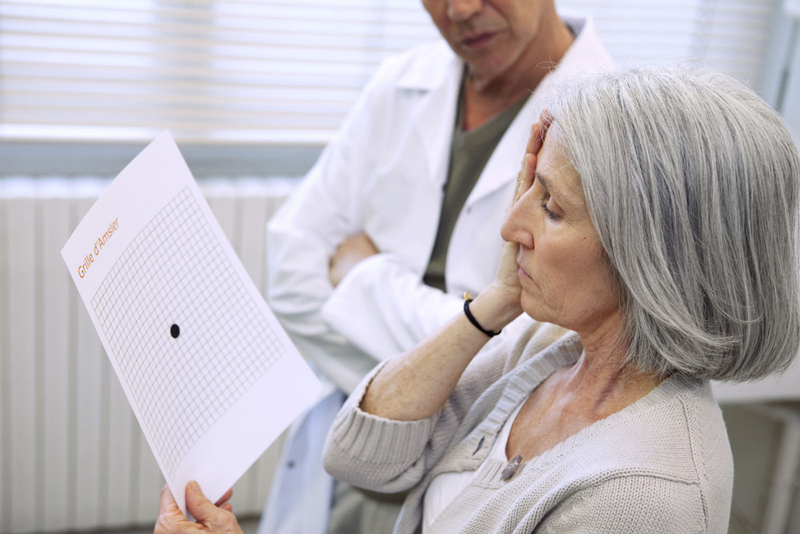 Among individuals older than 50, age-related macular degeneration (AMD) ranks as the top cause of severe vision loss. As many as 1.8 million Americans suffer from this disorder. Regular vision exams at our Richardson Eye Associates practice in Richardson, TX are important for patients with AMD and those at risk for it, according to our optometrist. Macular degeneration develops when changes occur in the macula, a small area at the center of the retina. This causes a loss of central vision. Doctors of optometry recognize two types, dry and wet AMD. Every case of wet AMD develops after having the dry type. However, not all patients with dry AMD will develop the wet form. Unfortunately, once central vision has been lost, there is no way for eye care professionals to restore it. The patient loses the ability to perceive colors and fine details as macular cells malfunction. Often the first sign that something is wrong occurs only when AMD is advanced. Researchers have uncovered no way to prevent AMD or a specific cause. In patients with the dry form, macular cells are unable to eliminate waste products from the eye. With wet AMD, unwanted blood vessels form under the macula, breaking down rods and cones. Our Richardson optometrist diagnosis AMD during a comprehensive eye exam. Changes in diet and nutritional supplements sometimes slow the vision loss of patients with dry AMD. Laser treatment of early wet AMD to minimize vision loss is possible with early diagnosis. Some patients receive medication injected into the eye. Others undergo photodynamic therapy, in which a laser activates medication injected into the bloodstream. Schedule an Exam at Our Richardson Eye Associates in Richardson, TX! Regular exams by our Richardson optometrist are the key to early diagnosis of macular degeneration. Our doctors of optometry, Henry Krauss and Scott Harris, consider the health of your eyes their top priority. Be sure to call our Richardson Eye Associates in Richardson, TX today at 972-231-3439 to schedule an appointment.